This system is used to filter 5% emulsion used in a 76.1×4 pipe line, contaminated by carbon steel particles. 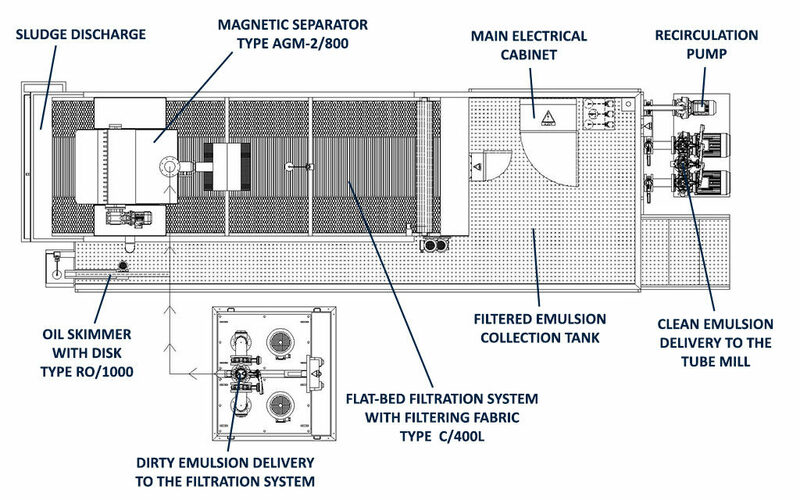 The contaminated emulsion is collected in a transit trough where the electric pumps installed send it to the AGM series magnetic separator to pre-filter ferrous particles from the emulsion. 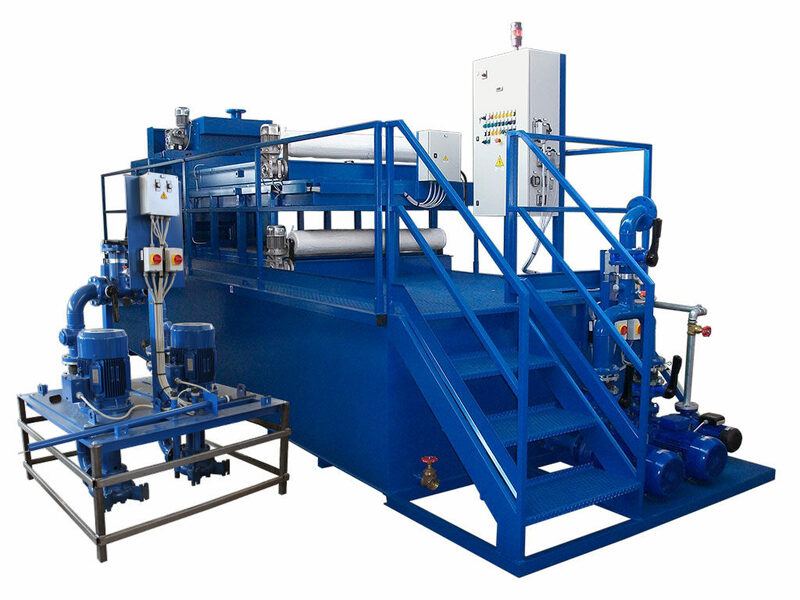 The pre-filtered liquid is then divided evenly between two CL series paper filters, where filtration occurs. The clean liquid is collected in the tank below and pumped to the line. Another pump is installed on the tank, connected to a probe, which allows the clean emulsion to be recycled when the temperature drops below 4°C during machine down-time. 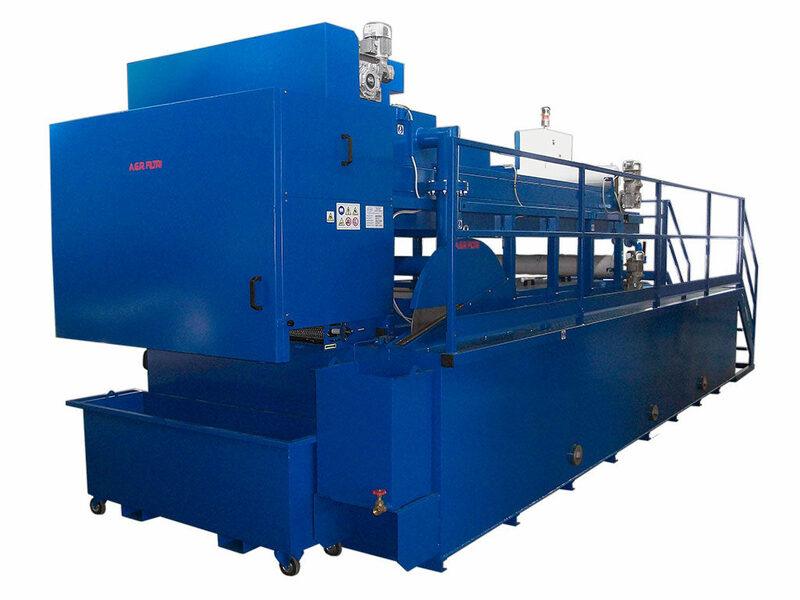 An RO series oil skimmer with disk is also installed to eliminate the surface film of waste oil. The electrical panel automatically controls all the system functions and is connected to the pipeline control panel for remote management.